If you love tattoos but don’t want to get a permanent one, then you may try the henna tattoos. They are quite beautiful and fashionable. And since they won’t last forever, you can change the designs as the old one disappear. 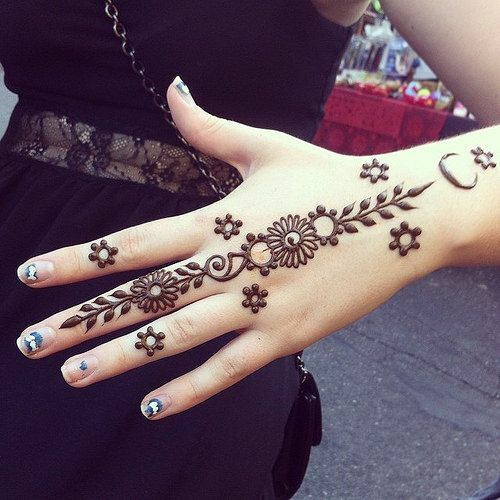 Here, we have made a collection of 15 breathtaking henna tatto designs. Stay here and check them out. I’m sure you will love them. 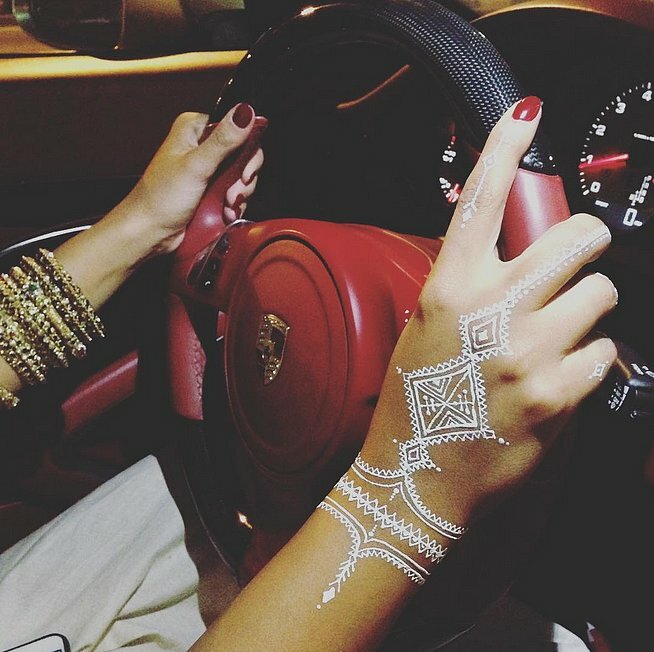 The diamond shape henna tattoo just like a real chain bracelet and so does the tattoo on the wrist. 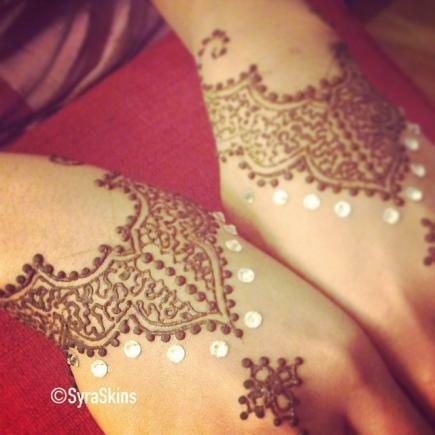 In this way, the henna tattoo is really a convenient and economic way to make you look more fashionable. 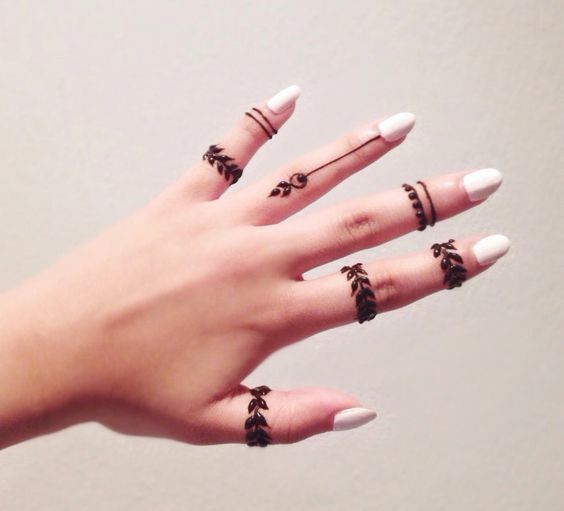 Your simple nail design will look far more stylish with a beautiful henna tattoo. 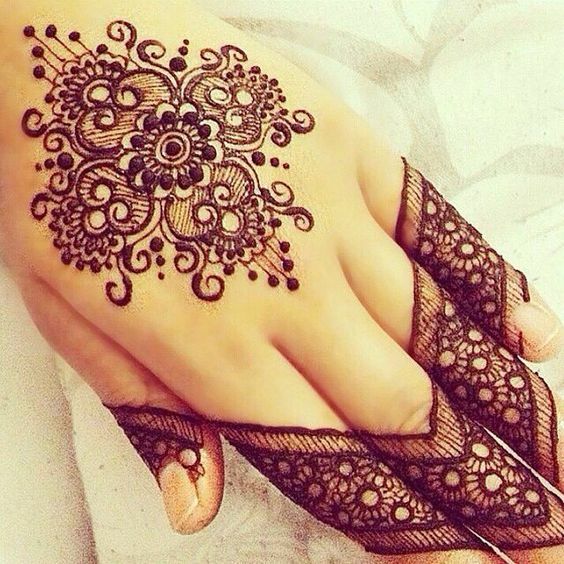 This henna design looks very pretty on thin hands. 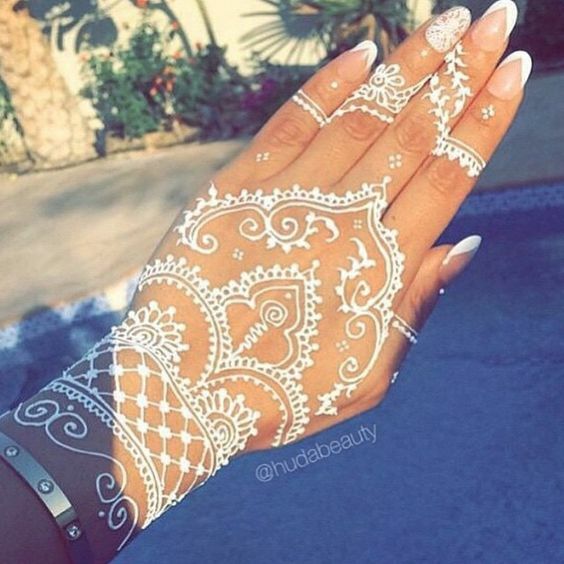 This white henna tattoo is quite romantic just like a lace glove with some pretty jewleries. The big pattern also looks fabulous on the back of your hand. And you can paint the same pattern on your thigh as what is shown in this picture. It will be quite stylish. 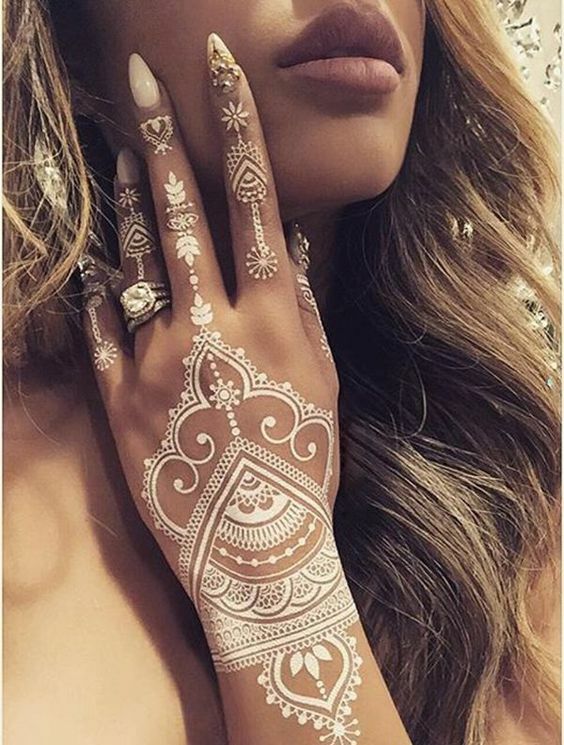 The white henna tattoo is so beautiful that you can even wear it on your wedding. You can also do a henna tattoo on your arm. 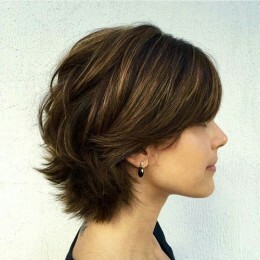 This star design is quite lovely for young girls to try. 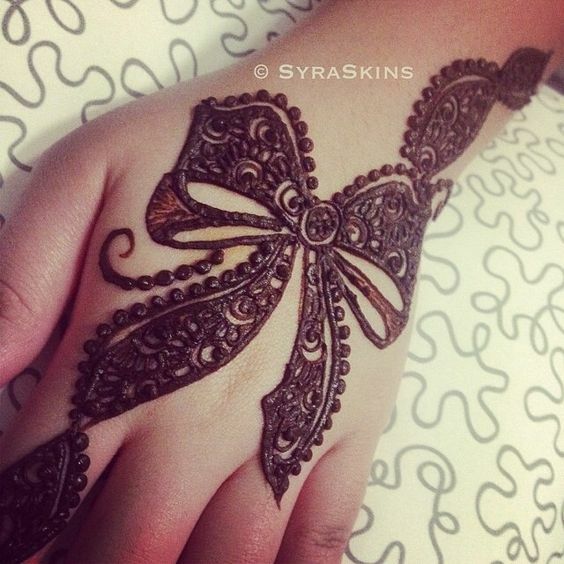 The bow henna tattoo design is so cute and the big pattern is great to make the fleshy hands look slimmer. 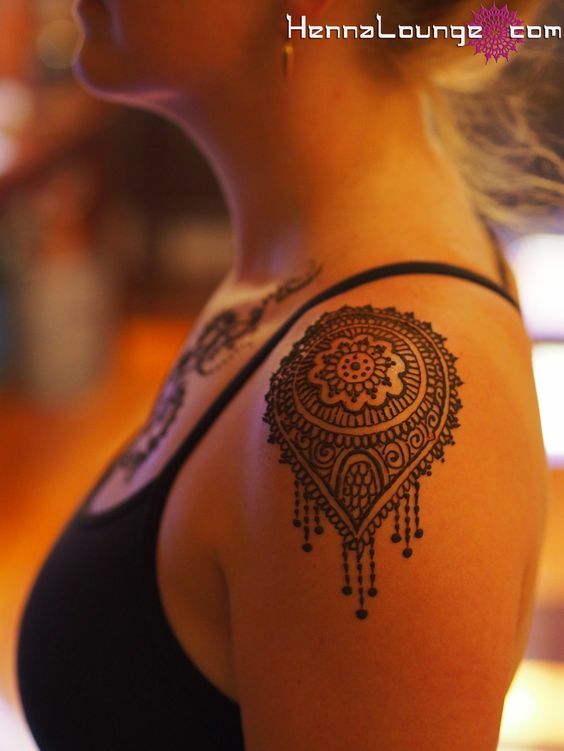 This henna tattoo design is quite special and pretty. 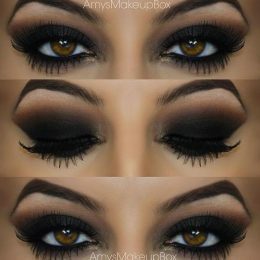 It’s wonderful to lighten your holiday looks. 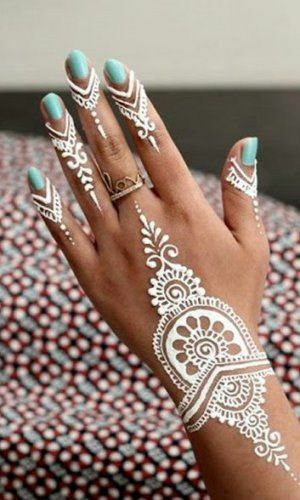 With some ring patterns on the finger, this henna tattoo design is quite simple yet rather stylish. What’s more, the white nails add more freshness to the final look. It’s a nice choice for you to match your white dress in summer. Not the chain bracelet style any more. Instead, the henna tattoo design if made of pretty flowers and leaves. It’s quite a beautiful tattoo idea for spring and summer. 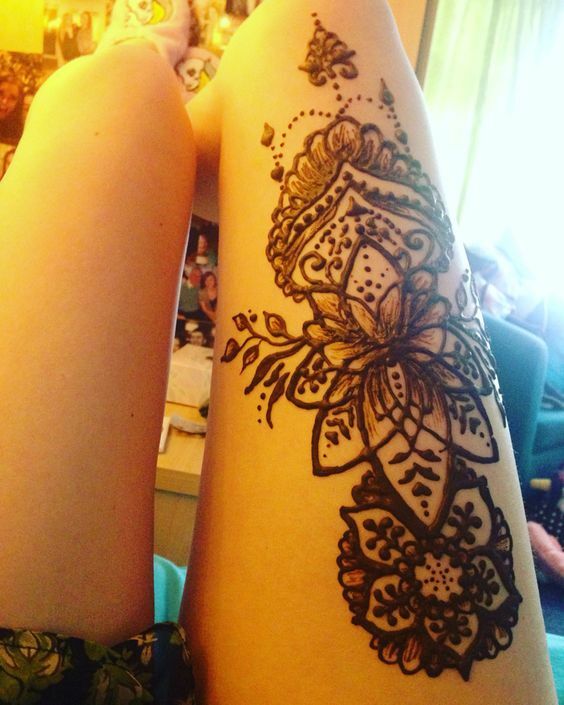 If you have never tried a tattoo on your thigh before, why not just try the henna thigh tattoo for several days? This is a very audacious action and will draw a lot of attentions. Will you have a try? 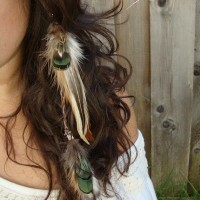 You can copy this idea and get a henna tattoo on your shoulder. The epaulet pattern is super cool for all the fashionistas to try. 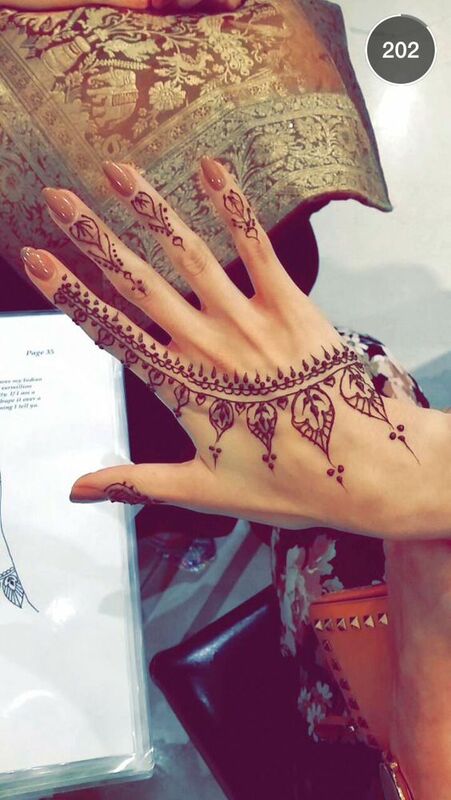 This henna tattoo design looks like a pair of fancy wings. And they look so fabulous when placed on the chest position. 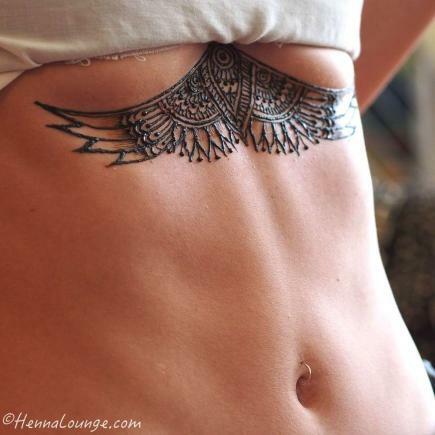 If you’ve got an enviable belly, just show it off with this chic henna tattoo design. 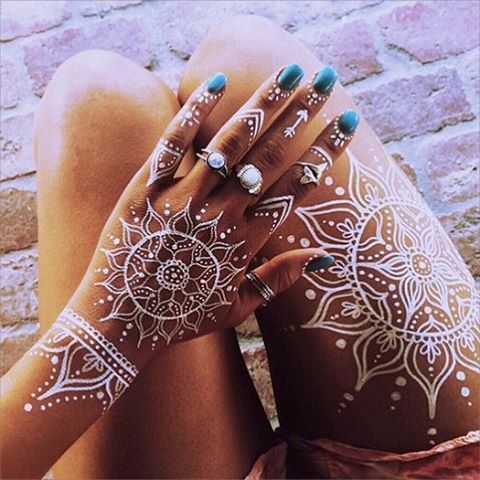 Decorated with some white dots which look like bling diamonds, this henna tattoo design is effortless fashionable for women to experiment with on holidays. The exquisite floral pattern on the hand together with the delicate lace patterns on the fingers creates an extremely fabulous and flossy tattoo idea for women.